Having instant 24/7 access to information is amazing. If you need an answer to a question you simply pull out your phone and within 20 seconds you have your answer. So if we all have access to the same information, why is it that some people are more successful than others? The right information is out there. But “results may vary” depending on the person who consumes that information. If you want to lose weight there’s a million websites, blogs and videos that show you how. If you want to make money online there’s no shortage of good articles, courses and podcasts out there that will show you how to do it. Want to sell your house and travel the country in an RV full-time? There’s blogs, books and Facebook groups out there to answer any question you may have. So why is it that so many people still fail to achieve their goals? One reason is because information is not enough. That’s probably not news to you. But what is it we need? 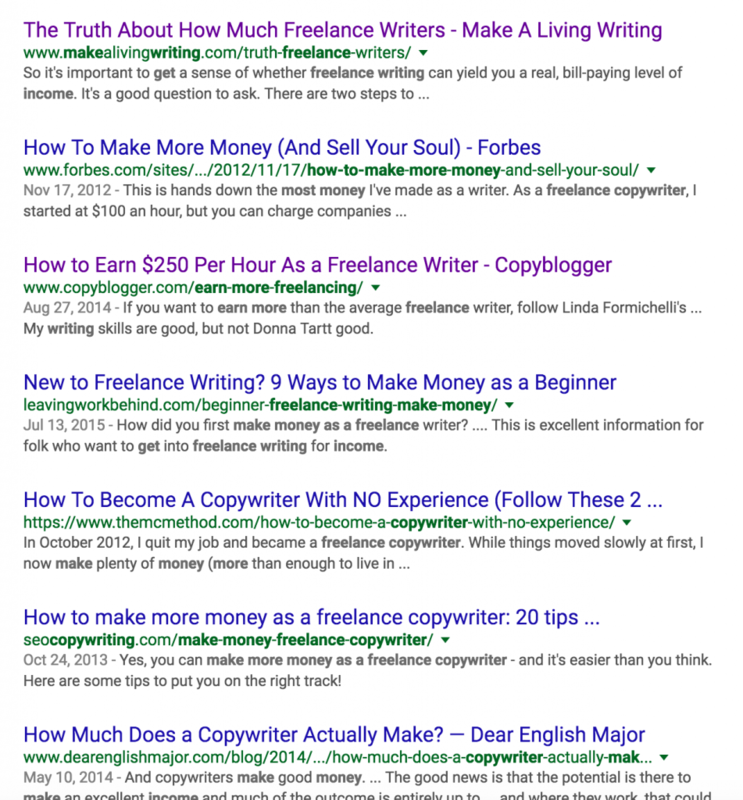 Let’s say you’re a freelance copywriter and your goal is to make $6,000/month in recurring monthly income. The problem many freelancers face is they don’t know where to start. Or they have some limiting belief holding them back they may be unaware of. Or maybe they are great in one area (like email prospecting) but lacking in another area (like phone sales). Google can’t tell you these things. And if you lack self-awareness, neither can you. That’s why we need others. We need mentors, coaches and friends who can help us see things we’re missing. Information is great but it’s not nearly as important as having someone in your life who can see behind the curtain and give you helpful advice. I plan to write more about mentors soon and how they’ve played such a pivotal role in my life. But for now I just want you to start thinking about mentors and how they could help you get to where you want to be faster. Trust me, they’re way more useful than Google (and I love Google! ).